It was his 60th birthday and he gathered friends together, some whom he had not seen in years. The birthday cakes were many. He was happy and he showed it in his dance steps, songs, and chummy greetings as he hugged and clasped unto friends at the party. None knew that the end was near. 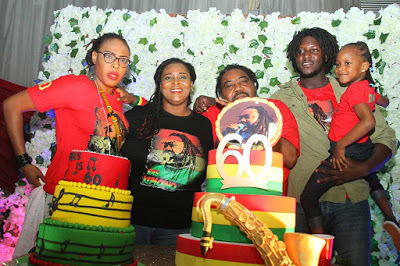 Today we celebrate RAS KIMONO with pictorial memories of his last grand party with friends in the industry.